By the birth chart there are 12 houses and each house describes about different values of life. But by the Vedas there are only four parts of life. One related to body, family education religion and past parents it called Dharma. Second related to money from family jobs related to daily livings and jobs those can make life smooth that called Artha. Third related to expressions life mate and permanent gains it called Kama. and mind risk and outer knowledge about life with desires makes sense of Moksha. Dharma Artha Kama and Moksha having twelve house. Lagana Fifth house and ninth house makes houses of Dharma. Second house sixth house and tenth house related to Artha. Third house seventh house and eleventh house related to Kama. Fourth house eighth and twelfth house related to Moksha. You can find easily the house of luck by the helps of this table like if your want to know about luck of first house, it means first you require to find which person is lucky from ninth house. Also if you want to find money in the time of troubles, it means you want to find which person has position in 2nd house.When you want to make a house and want to give name of that house you require to find name of persons those have place in 4th house. Who can can give helps in the area of money,then you require to find which persons having place in 8th from second, it is ninth house, it house related to target of money, without making more sense in past history. It is a simple theory of Vedic Astrology. A rule from astrology, if Mars is placed in the fifth house from the ascendent,as the 9th lord is in the company of a malefic,the native's father will die in a foreign place. If Sun is in the 8th house in means father's death near water place, due to heart attack or this type diseases. One born in Aquarius ascendent with 'Samarjya Keshari Yoga' with be a higher cast and be every happy. He will either be the second or the third issue of his parents. injunctions. In his childhood, he will indulge in vicious acts, and will from middle part to end of life perform charitable acts by constructing places of public welfare like water tank gardens, will be endowed with many children and be committed to purpose.The native's father will have blessing of public be virtuous and will have knowledge of vedas as directly revealed by human kind,he will derive pleasure by begging and be always religious. These are all related by the combinations of Jupiter and Mars in Virgo sign. Sun+Mars Mars is strength,father has good image in society. Mars is brother,one brother of father makes helps in life of father. Mars is blood,father and son troubled by blood diseases like heat diseases. If both have place in first of 12th house, heart disease sure. In birth charts of female kind, husband has good place in world but short temper, but love in heart. Mars also related to husband. Sun+Mercury Mercury is Knowledge, father is knowledgeable person. Father very educated, Jataka Vaasanamaya. Father has land and properties. Grand sister also supports to father. Activities of father in business area. In sixth house,relations of father with a other female. Sun+Jupiter Sun is soul. Jupiter is Jeeva. It called Jeevatma Yoga in birth chart. Birth by the part of God. Soul of past person of family. Person busy with others helps. Good position sure in world. Father also related to with Government. In birth chart of female kind makes much interest in gold and silver ornaments. She find good respect in family and society. Sun+Venus Sun is father and Venus is Home. Sun is gold and Venus is finance. Sun is heat and Venus is sperm. Miscarriage with wife. But one son sure. In birth charts of female Venus makes image of elder sister. Person find money through government. Also makes diseases of urine. Sun+Saturn Sun is Government and Saturn is career. In starting age Saturn makes troubles in career. Son is lazy. father and son always in different routs. It is a indication of Pitru-Dosha. 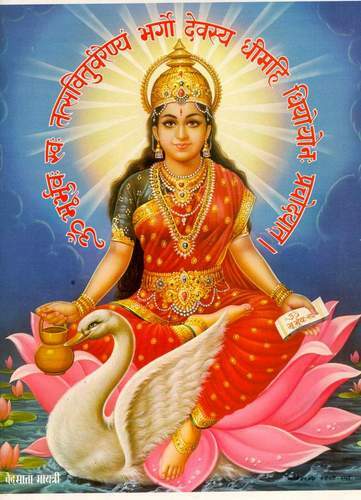 Require mantra chanting of Gayatri-Mantra daily 24 or 108 times. Sun+Rahu Fame of Grand father very good or very bad. Illegal relations always gives very bad fame. Death of father by accident. Require Pitru-Tarpan for removing this Dosha from birth chart. Birth time of person father find front injury. Birth of son by very difficulty. One brother of father find death type trouble. Sun+Ketu Father and son religious. Much troubles in livings. Land with father but not usable. Moon+Mars Power of mother good in family. If Mars in lower sign like in Cancer it means power of mother nil in family. One brother always busy in jobs related to journey. Person makes short temper in family relations and in daily jobs. Mother has heart diseases. Mother makes fast expanses and saving nil in life. Mother is troubles creator in family in relations. Maternal grand mother's death by accident. Always love by the hot nature. Much credits in life. Love with family member. Death by electric shock or by the vehicle. Religious with Lord Shiva or mother Mariam. Career in local securities like in Police department. Friend nature of elder brother or elder sister. Always out from own family. Moon+Mecury Both are famine nature. If person male it means illegal relations with two female at a time. In last stage both out from life and makes painful life. Moon is arts related to business in liquid things. Also related to agriculture related things. Journey related to business must in life. When Mercury alone in birth chart it will acts like a female. Low labor and much gains by the combinations of Moon and Mercury. Mercury is land and Moon is agriculture, person's much interest in gardening and crops. When relations with Saturn it means jobs related to drinking type things. Person's sixth sense activated from childhood,and can make sense of forthcoming ancients. Moon+Jupiter Mother religious. Birth time of person mother find troubles by illness. Moon is journey and Jupiter is person it means after birth person's living out of birth place. Mother-in-law always acts like hot and cool in full life. Moon is mother in law Jupiter is relation. Cough disease also by Moon and Jupiter combinations in sixth house,like Jupiter is air and Moon is water,combination of Moon and Jupiter makes cough disease. Jupiter also makes diabetes with Moon. Require to make ritual of Lord shiva near sea places. Mars and Rahu if make relations it means no brother with person. Moon+Venus Mother is wealthy. Income and expanses same in life. Moon is silver and Venus is ornaments.Business related to Silver ornaments. Moon in Scorpio related to copper metal. Moon is journey and Venus is sister it means marriage of sister far from birth place. Both are emotional nature person busy with double relationship. If Rahu makes relations it means sister or wife has mind diseases. Sister in law very emotional. Moon+Saturn Moon is mother and Saturn is cold, mother troubled by cold diseases. Moon is Journey and Saturn is jobs, in jobs first require journey then works. Saturn is jobs and Moon is fraud, no gains after jobs. Moon is water and Saturn is wine means person like wine. Jobs related to ice. Moon is water and Saturn is cold makes asthma disease. Moon is fluctuation mind and Saturn is jobs,not jobs in one place. Moon+Rahu Before birth mother troubles by mind diseases. Moon is thinking and Rahu is lie,person makes wrong talk in daily life. Rahu is deep and Moon is water, near birth place a deep sea or river or water tank. Mother in law makes self egos in life. Moon+Ketu Grand mother religious. Near birth place any temple mosque or church or school. Mother related to cough diseases. Person always mind about leave family life. Mars+Mercury Both are enemy for each other. Both has position in birth chart like brothers. Much troubles in education. Mars related to multiply and Mercury related to plus,making sense of account jobs. Mars is electric and Mercury is communication it means jobs related to communications. Mars is hard and Mercury is soft means much fighting without any reason. Person always busy with fault finding of family and rough talk.Husband and wife busy with fighting in front talk of family matters. Female kind make fraud in jobs. One younger sister's family with many type fighting. Jupiter is the peace maker,when Jupiter make gochara on ketu fighting stops. Mars+Jupiter Jupiter is broad. Heart is very cool. Mars makes burdens in life by mind pressure and blood pressure. Mars with Jupiter not want to run life with orders of others,want to make orders for others. Person always busy with religious jobs. Very anger person in relations. Saving of money not possible in life. By the self ego not want to ask about troubles. Family members are not able to know nature of person and person find hardship in old age. Person require to make jobs slowly. Mind tension and social reputation always in danger. Mars+Venus Always mind tension in husband and wife. In past life both were husband and wife. Person always love to his/her life mate but always one far from life. One brother will make good fame in world. Person weak by the much activities in night jobs. If Mars and Venus have relations with Mercury it means one illegal relation in life. Mars+Saturn Technical jobs must in life. In career much troubles by the confusions of superiors. Life always in disturb condition. One brother always in troubles. Person feels much disturbance in starting age of life. Jobs changing must. Much enmity must. If Moon have combination it means short temper nature. Mars+Rahu Rahu is hidden strength and Mars is technical jobs,Machine jobs possible in life. Medicine and electric jobs also possible. No proper talk in life. Much enmity with grand father's life. Nature like Hitler. Death on brother by accident or later age of life. No elder brother of person. Disease related to blood pressure possible. Require remedies of Rahu Mars like Tarpan of Rahu. Mars+Ketu Mars is positive and Ketu is Negative, not much interest in body relations and after some time of marriage make troubles in marriage life. It Called Mangali Dosha and marriage in late age. Brother of husband has nerves diseases. Low blood pressure possible. One brother possible like saint or service in police department. Engineer in hardware or telecommunication too possible. Mars with Ketu and venus makes marriage,Mars with Moon and Venus give fame in life and for male kind gives beautiful wife. Moon with Mars with Venus it means husband makes love but mother in law makes troubles in life. Mercury+Jupiter Person knowledgeable in every fields of life. If person male it means love with a other lady possible. Garden of green area possible near birth place. This yoga makes truthful life or person. Double marriage also possible in life. Very fast in education. This yoga also good in astrologer's birth chart. Mercury+Venus Both are famine. If this combination in female birth charts they can make friends easily. Voice clear in fruitful by nature. Person can make jobs by tricks. House also beautiful. One brother of sister gives fame in world. If wife start business it means profit to husband sure. If Moon makes relations it means much profit in ice cream line. Defame in relations by the followers. House and properties must and good approach with higher authorities. Mercury+Saturn Person lazy in studies. Person always win in business matters. Land and properties jobs always faithful. Person can make estimate by easily of land and properties. Person can make map of land and properties. Mercury gives power of communication in writing jobs. Media person and community person also make name and fame in world by this yoga.One brother makes average jobs in life. Elder sister or brother makes business in life. Mercury+Rahu Mercury is talk and Rahu is broad means person much talker person. No knowledge of outer world. Mercury is land and Rahu is Muslim means near birth place grave yard possible. Jobs related to Photography and computer possible in life. Jobs related to astrology possible in life. Marriage possible out of caste. Mercury is Vishnu and Rahu is Virat image of lord Vishnu.Mind in fluctuation not stay with proper place. Mercury+Ketu Person find soul knowledge. Person find Moksha in life. Education by easy ways. Younger sister related to religious jobs. Ear diseases possible. One relation illegal. Mercury related to law,jobs related to lawyer possible. Skin diseases too possible. Mercury related to relations of maternal grand mother, give religious nature to him. Mercury is law and Ketu is land, court cause related to land possible. Today your Moon in sixth house, having tension related to job and illness also it destroy your plans,do not make any place today you can do your job as per front thinking. your lord in the house of quick money gains and making back ideas so do not make any thinking related to back ideas you are weak in your love and expressing your technical ideas to others.Care your eyes by the infections and do not make any wrong job related to government.find for about your daily life.............? Today you can make good ideas for love and affair,your mind will create a good adventure in family life,do not start new game today also you can make much interest in games and outer thinking also some troubles seeing related to health for babies.Your life partner having hidden ideas for the new relations.find for about your daily life.............? Journey time started today you can make plans for outer journey and if you tired then think about your regular jobs related to house. today you can feel in tension by the hidden enmity, some real person also thinking wrong about you.big deals related to big organization can helps you and you can meet hum personally for peoples troubles.find for about your daily life.............? Short journey possible related to law matters with government, some parental matters also make tension in your mind.Money matters also can make disturbance in your daily life, start collections of money. there will be a cheating related to donation or any type kindness related matters.find for about your daily life.............? You can make money through your past jobs, your mind in search for hidden matters those are responsible for lost your money, a gent or lady will front your today's matters but do not make faith on him. your past activities those related to hospitals or related to defense can hit your mind.find for about your daily life.............? Your kind service require to a person who back to his trouble related to hospital or related to legal matters,you can find more money through helps of legal adviser.Do not show you like a liar person by the laziness.Living of rural area or rusty area possible.find for about your daily life.............? Relief seeing in your health matters and allergy type diseases will solve out by the seniors. There are many confusions in money area also seeing fears in family related to your health and past activities. Do not consume more alcohol or things those related to infractions. hidden love seeing your hidden communication, see matters of him/her.find for about your daily life.............? Present time your talk going truth and you are under shadow of paranormal strength, two type helps related to communication or related to helps in equal share of money or in fame seeing good with you, friend help require today.find for about your daily life.............? Fear in journey seeing today if you can cancel your journey today, you can cheat or you can feel bad in your journey by the worst climate or food etc. legal activities can make penalty with you.find for about your daily life.............?. new love matter awaiting for you and you can make good role in games and things related to amusement. Two type communication mode with you also you can feel good today,some teeth trouble also seeing with you. Do not use green vegetable today in food. Leave plastic using and also think about learn new languages. find for about your daily life.............?